See Our Partners For Your Next Canada to California Project! While commercial technology and smart home automation systems are far greater than the sum of their parts, we still want to provide the best components possible for your smart system. We partner with the highest quality device manufacturers for automation control, audio/video equipment, lighting, interior design integration, home security systems, and more, ensuring your investment in automation is long-lasting and reliable. Explore our manufacturing partners below to learn about the different technologies and devices that could add elegant, seamless convenience and luxury to your home or business. When you choose a system from your Calgary, AB Crestron dealer, you can rest assured that you're making an investment in the highest quality products possible. Remove all the extra clutter and complexity out of your home or business with one-touch control of all connected devices. 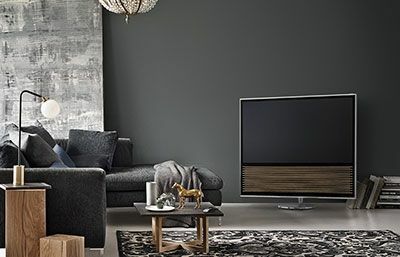 The ultimate luxury lifestyle starts with Crestron — create the perfect environment for your home or business with automatic control of lights, shades, HVAC, A/V, security, and more. 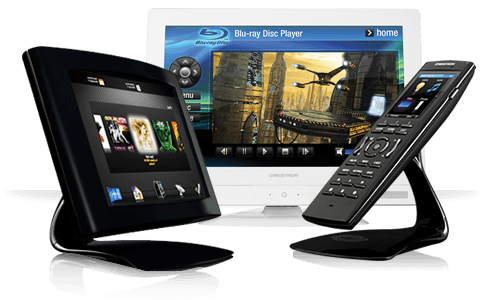 With Crestron, there are endless opportunities for optimizing your technology to be more valuable to you. 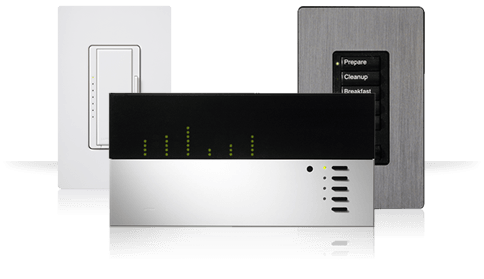 The clear choice for any Apple® lover, Savant turns your iPhone, iPad, and even your TV into a command center for your home or business. Without getting up from your seat, perform everyday tasks such as dimming the lights, locking the doors, checking your security cameras, and turning on music. With a wide array of control options, a Savant dealer can work with you to develop a custom Savant system that lets you manage the aspects of your Vancouver, BC or Phoenix, AZ home that matter most to you. Don't let the simplicity and intuitiveness of Control4's user interfaces fool you. 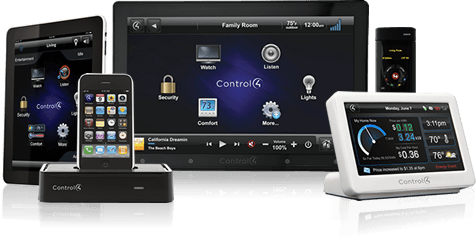 Control4 systems are robust, reliable, and comprehensive so that you can easily manage every single device throughout your home. With a variety of control options, from handheld remotes to tablets to smartphones, you can always stay on top of your smart home, whether you're in the living room or halfway around the world. As a Control4 dealer serving the areas of Vancouver, Edmonton, Palm Springs, Phoenix, and beyond, we can offer expert advice on the best Control4 system components for your home. If home aesthetics are important to you, TRUFIG's innovative flush-mount solutions are a must-have. TRUFIG makes outlets, control panels, devices, and other wall mounts blend in seamlessly, creating a smooth and uncluttered look perfect for design-driven architects, homeowners, and interior designers. The uncompromising quality and innovative engineering of TRUFIG products can transform a room for truly high-end design. Classé has been making high-performance music and theater components since 1980, and their products have continued to stay on the leading edge of audio innovation, finding new ways to improve their amplifiers and processors to create an even more breathtaking experience for audiophiles around the world. 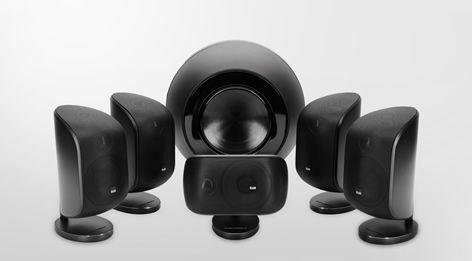 Part of B&W Group with other prestigious audio companies such as Bowers & Wilkins and Rotel, Classé's music and home theater electronic components are truly best-in-class. Anyone seeking ultra high-quality speakers for their dedicated home theater or listening room need look no further that Bowers & Wilkins. They have a wide array of speaker options, including their award-winning Nautilus series that takes speaker design to a whole new level and their Custom Theatre system that truly redefines the theater experience for Vancouver, BC homes. Bowers & Wilkins is known for using unusual materials in their speakers, such as Kevlar and diamonds, to give a luxurious and innovative sound. 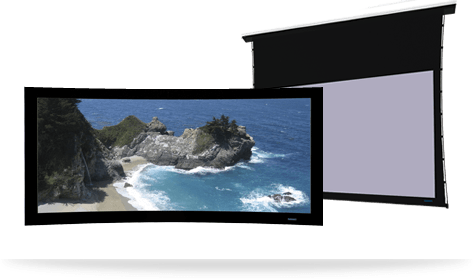 The premier manufacturer of projection screens around the world, Stewart Filmscreen Corp is the top choice for anyone in Palm Springs, CA or Edmonton, BC seeking premium quality screens for dedicated home theaters, screening rooms, commercial venues, and more. Attention to detail, quality materials, and consistent innovation make Stewart Filmscreen stand above the rest. 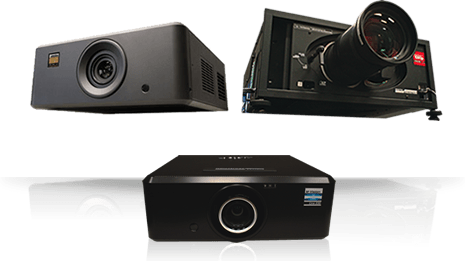 Many of the most prestigious commercial and luxury home environments around the world choose Digital Projection to provide superior visual displays for their film studios, dedicated home theaters, simulators, and more. The crystal clear picture created by Digital Projection's equipment immerses the viewer in images so life-like, it's hard to believe you can't step right into the scene. Avigilon's trusted security solutions offer end-to-end security for commercial environments ranging across all industries, from healthcare to retail to banking and beyond. Video surveillance, access control, and other security elements combine to create a reliable and effective system for keeping your business safe. 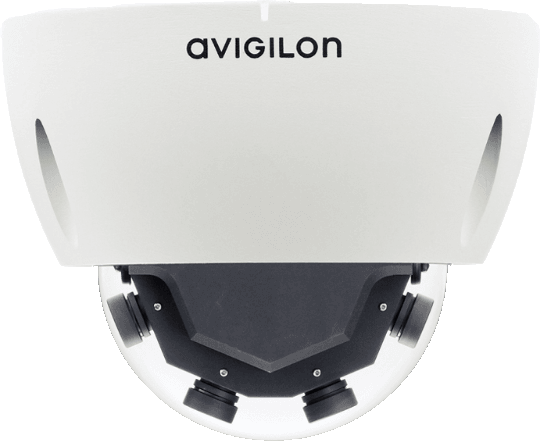 With integrated video analytics that responds intelligently to threats, Avigilon continues to create cutting-edge technology that leads the industry on commercial security. The biggest name in lighting control for both residential and commercial environments, Lutron makes it easy to manage all of your lighting. Beyond energy savings and convenience, Lutron's control systems give you the opportunity to tailor your space's lighting to your lifestyle, adapting to fit activities throughout the day—bright for cooking in the kitchen, but dim for a romantic dinner. Create the perfect ambiance and atmosphere at home or work with Lutron's innovative lighting solutions.